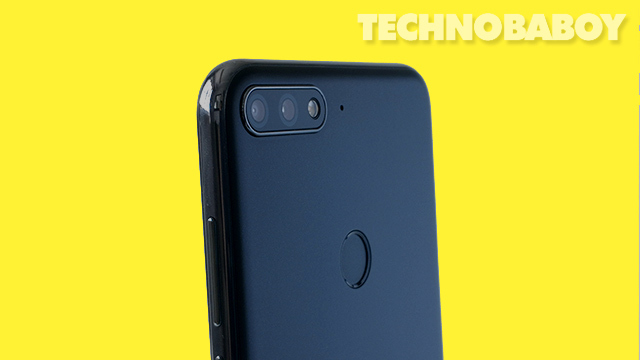 The Huawei Nova 2 Lite is now available under Smart postpaid. 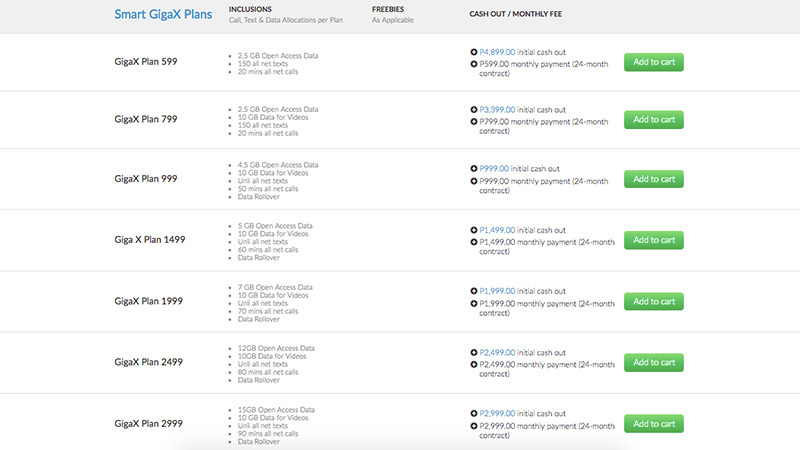 You can get in under Smart GigaX plans or under All-In plans. But its most affordable under the former. The best plan to get it in, in my opinion, is GigaX Plan 999. All you need to do is pay an initial cash out of PHP999. The plan comes with 4.5GB of open access data with data rollover, 10GB for streaming videos, unlimited text to all networks, and 50 minutes of all net calls. As an added bonus, those who apply also gets a free Bluetooth speaker, but its from March 29 to May 28, 2018 only. Not a bad deal if you ask me. The Huawei Nova 2 Lite comes with a 5.99-inch 18:9 HD+ display, octa-core Snapdragon 430 processor, 3GB of RAM, and 32GB of storage. The handset comes with dual rear 13MP + 2MP rear cameras, and a single 8MP front camera. As for the rest of the specs, the unit also has a fingerprint sensor, Face Unlock, and a 3,000 mAh battery. It comes with Android 8.0 Oreo (EMUI 8.0) out of the box. 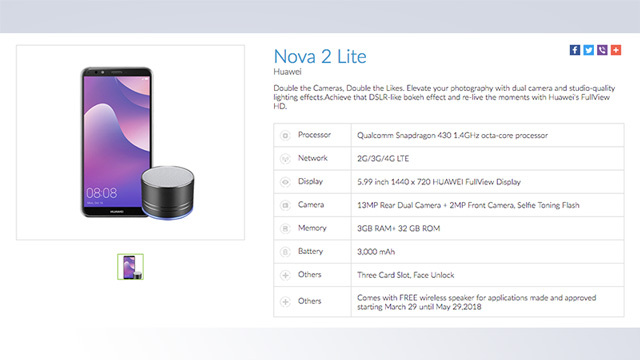 The Huawei Nova 2 Lite has a suggested retail price of Php9,990. It is available in Matte Black, London Blue, and Gold. For more information about the Huawei Nova 2 Lite and Smart postpaid plans, you may visit the Smart Online Store by clicking here.